Running an Android emulator on your PC can be a good alternative for anyone who wants to try apps without spending the data plan, or for those who want to play their favorite mobile games, such as PUBG Mobile, with the comfort and precision of the keyboard and mouse. Another advantage is that you can use a “real” keyboard in applications that require more dedication when typing, such as Evernote or Word. And since most of these apps work well on multiple Android devices, just set up your Google account to have all your data synced between the emulator and your devices. Emulators were tested on Windows 10 on a PC with Core i5-6600 processor. Although not so demanding on the minimum requirements, it’s good to check that your machine’s CPU supports virtualization technology (VT), since almost all emulators claim to run better or even require this option. As our focus is on games, all of the above Android emulators come preconfigured with Google Play support, keyboard and mouse, and even some specific settings to improve game performance. There are built-in options for developers, and in most cases, Android Studio itself handles the message. 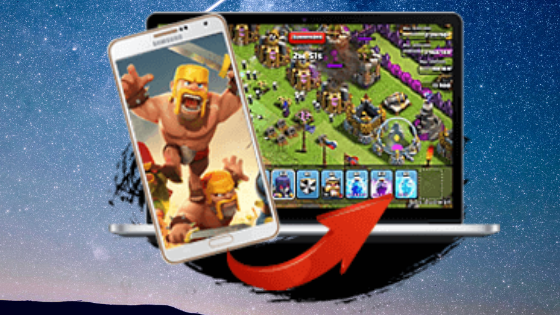 The BlueStacks is one of the oldest Android emulators for PC and known to the market. The BlueStacks, its latest stable version, comes with Android 7.1.1 and its own interface, which may displease some users it also contains several pre-installed applications and, in the free version, lots of annoying advertising. BlueStacks offers “download packages” with specific settings for popular games like Clash of Clans, and even a special game mode for battle royale games such as PUBG Mobile and Rules of Survival. Google Play support lets you install apps like Instagram and Facebook, but apps like WhatsApp may not work because they require a valid phone number. Here’s how to download Google Play APKs in this tutorial. The process of installing APKs is simple, with just a few clicks to open other instances of the emulator. However, BlueStacks does not offer as much freedom to change other settings, such as camera and GPS, as its competitors. The BlueStacks N, the latest version of the emulator, is available for testing. Perhaps one of the main competitors of BlueStacks is NoxPlayer, another Android emulator for PC with good performance focused on games and applications. It allows you to further explore the potential of Android with various configurations, but with a less user friendly interface. Although it comes with version 4.4.2 of Android by default, you can create a new instance of the emulator with Android 5.1.1 and use it in the same way. The NoxPlayer is the emulator with the best integration with Windows, creating shortcuts on the desktop for the apps installed on the virtual machine and using the notifications of the operating system. With less pre-installed advertising and a virtually identical interface to NoxPlayer, MEmu Play comes with Android 5.1.1 and had the most satisfying performance among the three options tested. Keyboard and mouse integration and keymap support is great. Just like in NoxPlayer, MEmu Play also offers advanced settings such as setting the amount of CPUs to be emulated, available RAM, and macro recording for task automation on Android. To install APKs, simply drag them to the emulator. If you want to download an app from MEmu Play to your mobile phone, just connect it to the PC via USB cable and install it by the program itself. What is the best Android emulator for PC? Focus on mobile games, such as Candy Crush, Clash Royale, PUBG, Rules of Survivor, etc. While some offer a newer version of Android (such as Nougat on BlueStacks 3 ), others are more configurable (like NoxPlayer ) or less infested with advertising (like MEmu Play ). In our tests, the most enjoyable in terms of performance, ease of use and freedom of configuration was MEmu Play. However, whether you’re a developer, an Android apps enthusiast, or a gamer wanting to play your favorite mobile game on your computer, feel free to try and choose the best Android emulator for PC. Then share with us in the comments.